This is me Sarah mum of 3: Dogs - smelly? unhygienic? 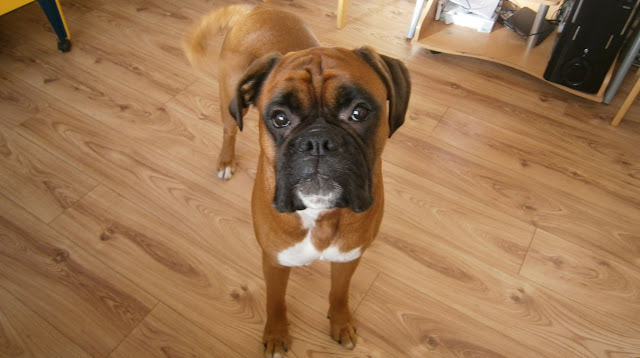 We are animal lovers here, and our pets are as much part of the family as anyone else, our home is very much their home we have Fudgy the guinea pig, Billy the budgie and of course Jackson - our beautiful 2 year old Boxer dog, who is such a huge part of the family. He is the first one the children say good morning too and the last one they hug before they go to bed, he sleeps at the foot of Chloe bed whenever he gets the chance, and if we go out without him, he waits patiently by the window until we return. He really is an all round perfect dog and we wouldn't want to be without him. But having pets is not easy, they are alot of work, they are mucky things with their hair and dirt getting everywhere, and even tho Jackson is short haired and looks the image of perfection the amount of hairs he looses every single day is huge, and he manages to make more muddy footprints around the house than I like to think about. In fact its not surprising really when 2,000 people were surveyed in September 2012 two thirds said they thought dogs were smelly and unhygienic! Jackson is a big dog - he is in fact huge, despite the hairs, he also slobbers a lot, and his big flubbers, which lets face it are the reason boxers are so cute, are somewhat unpractical. When he drinks, water sprays everywhere and as such the area his water bowl and food is kept in the kitchen, is somewhat grimy, the corner that is dedicated to him is in constant need of wiping. 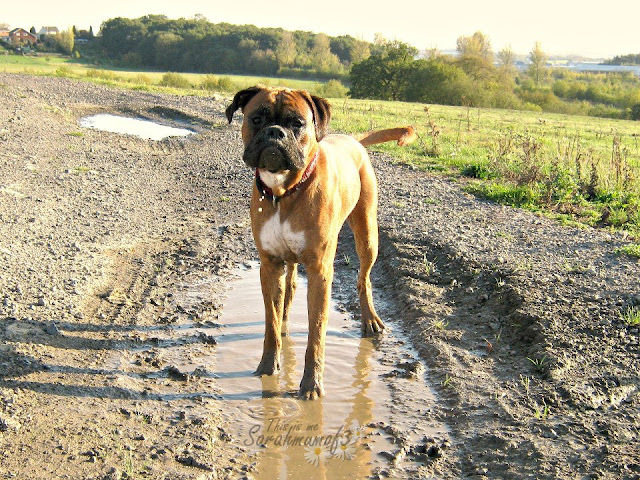 Then on top of this, he has boundless energy - again its another trait that boxers are renowned for, and so he loves to run around in the garden, we have gravel instead of the lawn to accommodate him, as the grass was just a mud hole, and the constant muddy feet was becoming unrelentless, but even now, with just paving slabs and a gravel area, he comes in with muddy paw prints trailing through the house on a daily basis - especially through the winter when the floor is damp. Then there is the walks in the fields, Jackson loves nothing more than to go for a run, but he gets hot quickly and so finds the nearest muddy puddle to take a rest in to cool off - which means full on laying down in the mud! much to my horror, and so he always comes home filthy. So what do us pet owners do about this? do we just accept these points as part and parcel of dog ownership? Put up with the dirt and germs that tag along to our much loved four legged friends? Reside ourselves to having a slightly mucky home because we choose to share our lives with the joy and friendship of a dog? Or is there something to make living with a pet a cleaner more comfortable experience. When you want to have a dog as part of your family you want to know that having them taking residence on your childrens bed to listen to their stories is not going to leave a trail of muck and germs behind. 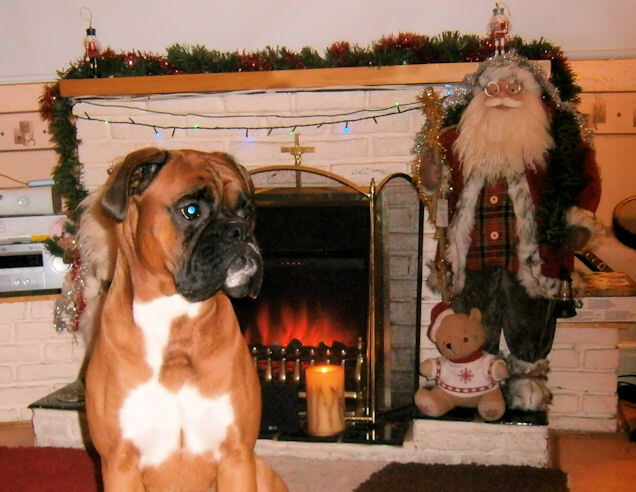 For us dog loving families, Byotrol technology, used in Petface pet care products, think they have the answer to the smelly animal worries faced by lots of pet owners. Byotrol is a revolutionary hygiene technology range, which delivers long lasting protection. Kills 99.9% of germs, yet it is harmless to everyone and completely safe for your animals - and children. Making this range of products a perfect solution for cleaning those areas your dog eats and sleeps. 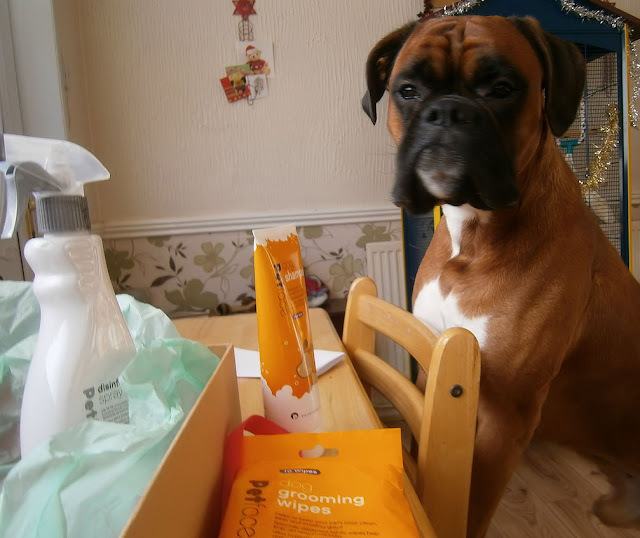 We were sent a selection of grooming products to try out, including some dog shampoo, dog face wipes and disinfectant spray. All products smell really fresh and have the ability to keep on working protecting against germs and odours for upto 24hours after they have dried. 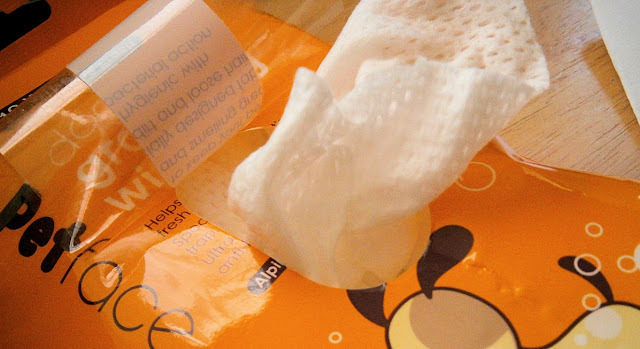 The face wipes, are essentially baby wipes for pets, they are thick strong wipes which you can use to rub down your pet when a full bath is not needed, wipe their face after they have ate a gravy filled meal, or clean their paws after a run around the garden, quick and easy to use these are great, Jackson didn't mind me wiping his face with them, although it advices to be careful around the eyes, they have caused no sensitivity issues and do smell nice, the pack states they are great at removing loose hairs, although they didn't seem to pick out many hairs from Jackson as I wiped him over, but they were ideal for cleaning off any mud, and they smell nice which is always an added bonus, and so handy for quickly wiping up the hairs which rest around the edge of the room! The Disinfectant spray has a cotton fresh fragrance which is not too over powering, ideal for cleaning around the food bowls and the floor directly by the door, also perfect for Fudgy the Guinea pigs pen and the budgies cage too, you simply spray on and wipe over with no need to rinse afterwards as it is completely harmless to animals. The spray boosts to kill 99.9% of virus and bacteria including those which can lead to kennel cough and parvo, and keeps working for upto 24 hours after dry, so these products are really great for that peace of mind to know you are not bringing in nasty germs each time you've been out for a walk. In a 500ml bottle it is sure to last a good while as well. All these products can be found in Pets at home or Sainsburys so if you are a animal loving family keep your eyes out - they may just be the thing you are looking for to make your family more clean and fresh! If you want to find out more information and join in with a fun animal loving community be sure to check out PetProud on facebook which has over 8'500 animal loving fans, sharing hints and tips on how to keep your dog clean, fresh, healthy and happy! Why not make up a PetCare hamper for an animal lover you know this Christmas - because healthy happy pets make Happy owners! 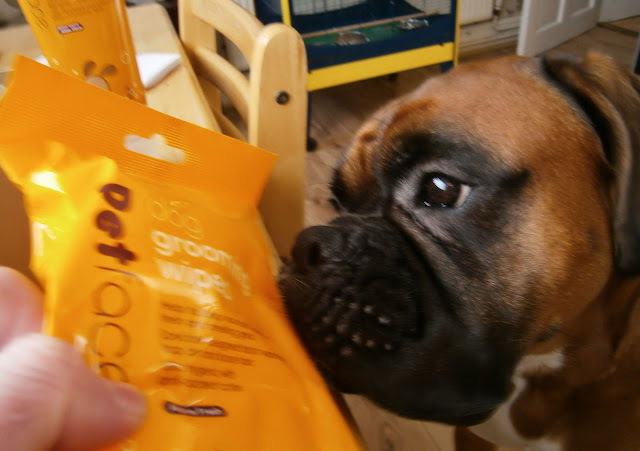 Disclosure - we were sent a selection of petface products to try out- but all our thoughts in this post are our own, we do think they are great and a perfect way to keep Jackson smelling as good as he looks!